Dry skin is characterized by flaky skin with dry patches that may result in cracking of the top layers of skin which are often painful. People are tormented with dry skin, generally in winter. 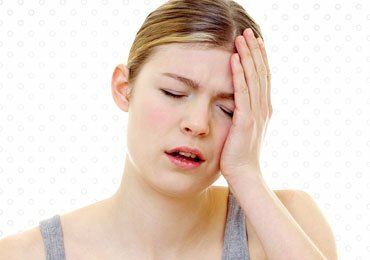 Those suffering from hypothyroidism and eczema, are also plagued with dry skin. 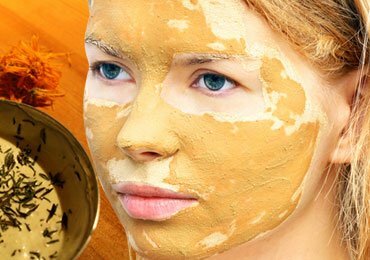 Dry skin causes itching that makes the problem worse further, hence the homemade masks for dry skin will keep you away from this problem. Keeping the skin moist by the application of moisturizers twice or thrice a day depending on the severity of the problem can help control and soothe dry skin. 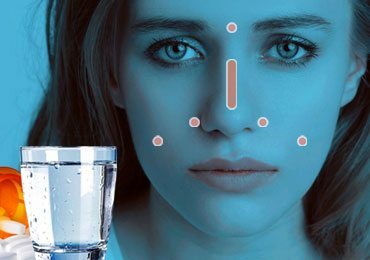 Regular application of face masks that are specially made for dry skin also helps to combat the problem to a great extent. 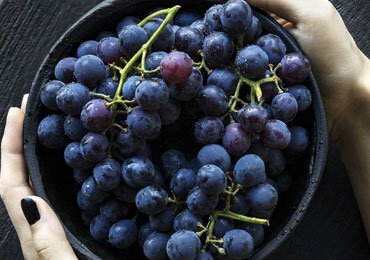 However, face masks available in the market contain chemical ingredients to which you may be allergic. 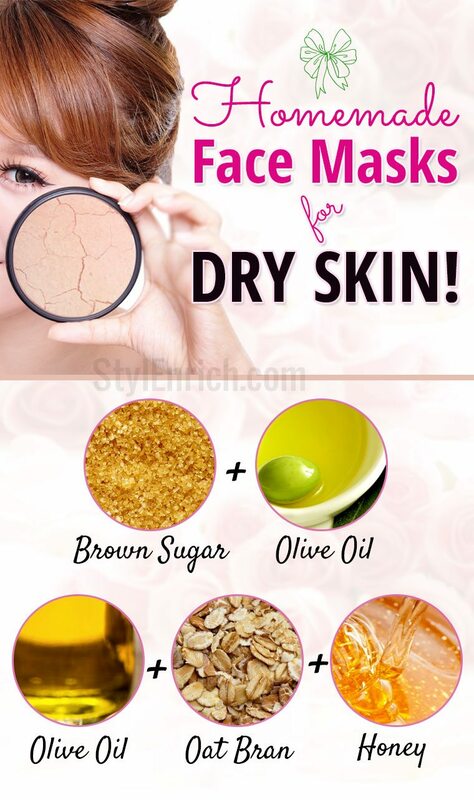 Here is a list of homemade masks for dry skin. Avocado is rich in essential oils and does wonders in the moisturizing dry skin. Take about half an avocado, peel it and mash it thoroughly. Add honey to the paste and mix well. Apply the paste to the skin and wipe it off after ten minutes with a cool washcloth. 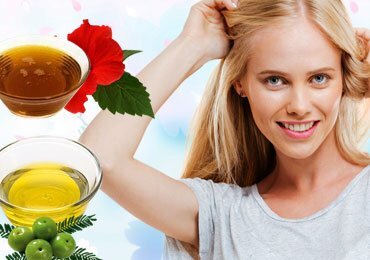 Honey soothes dry skin and helps in healing cracks formed due to extreme dryness of skin. 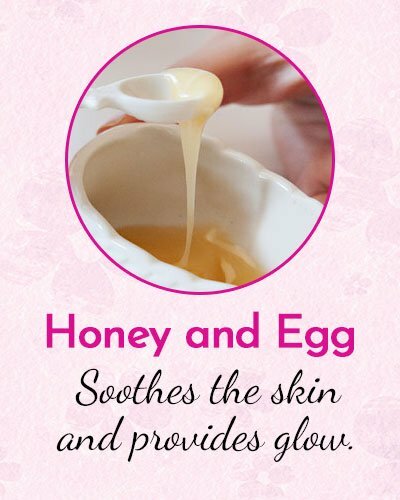 Eggs and honey combo are the best face mask dry skin that you can lay your hands upon. The moisturizing property of honey soothes the skin while the egg white lifts the skin to give you wrinkle free radiant looking skin. Take one egg white, add a few drops of sunflower oil and honey and mix thoroughly. Apply this concoction to your face and wash it off with warm water after fifteen minutes. 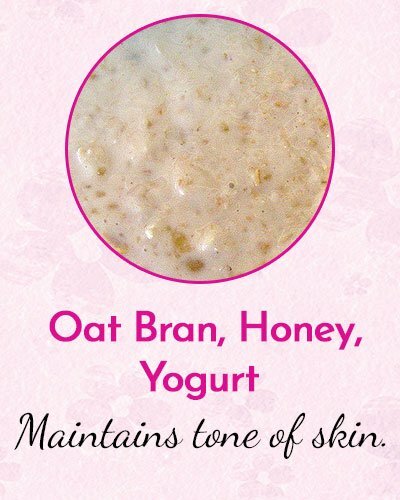 This moisturizing face mask for dry skin is easy to prepare at home. Take a handful of oat bran, add honey, yogurt and olive oil as needed and mix the ingredients thoroughly to make it as a paste. Apply the mixture to the skin and allow it to stay for fifteen minutes. 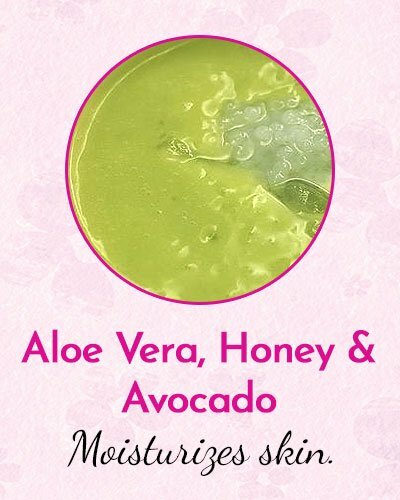 This face mask is perfect for dry skin as all the added ingredients serve to moisturize the skin. Oat bran in the pack acts as a natural scrub and helps get rid of dry flakes. 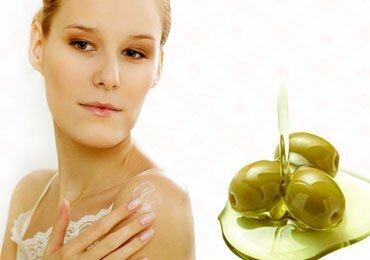 Olive oil gives firmness to the skin. This homemade moisturizing face mask for dry skin also helps to maintain and even out the tone of the skin. 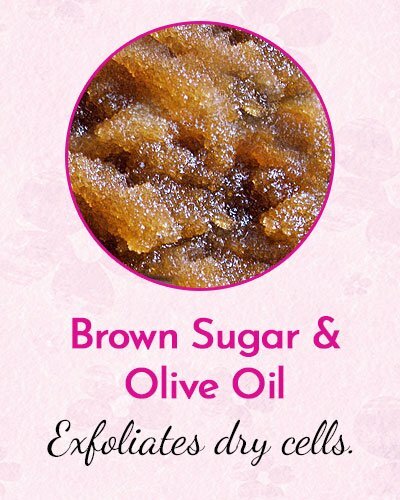 Brown sugar is perfect for any type of skin and gently exfoliates dry and dead cells from the surface of the skin. Olive oil is a humectant that serves as one of the best natural moisturizers that will make your skin soft, supple and radiant. Take about one tablespoon of brown sugar and one teaspoon of olive oil. Mix them thoroughly and apply the paste to the skin. Massage the skin gently with the tip of your fingers while applying the face mask. Rinse your face after ten minutes and apply a good moisturizer to double the effects. If you do not find pure olive oil, substitute with virgin coconut oil. Milk has been used since historic times as a natural moisturizer to the skin. 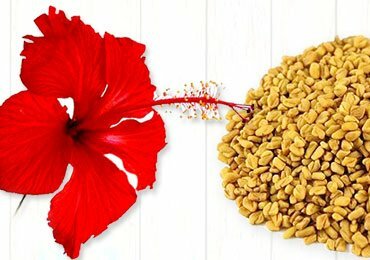 It hydrates the skin naturally, reduces pigmentation and also protects your skin. 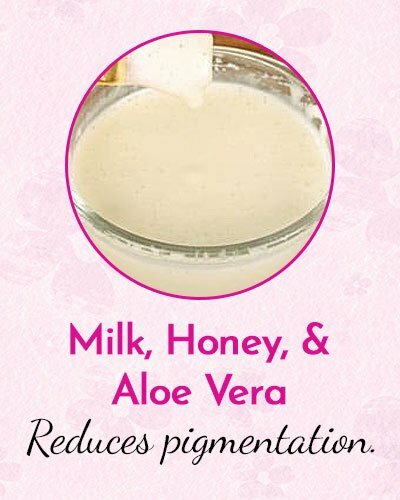 To make it even more effective add honey and aloe vera gel to milk, and mix thoroughly. If required a few drops of essential oils such as olive oil can also be added. Apply the mixture to your face and neck gently and rinse it off with warm water after 15 minutes. The is one of the best face masks for skin, that is also very affordable and easy to put together. Aloe has antibacterial properties that ward off bacterial infections, making this pack all the more effective in treating myriad skin conditions. This is the best face mask for those suffering from the chapped skin. 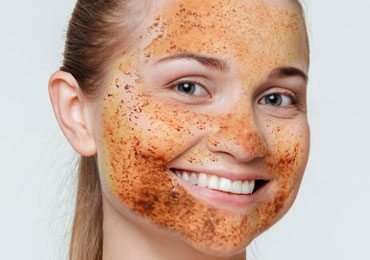 All the ingredients of this face mask have extensive moisturizing properties. Aloe vera helps treat cracks formed due to dry skin. 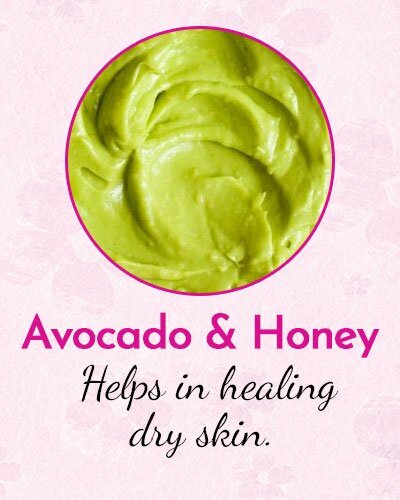 And, the antioxidants in honey and avocado give an invigorating look to the skin. 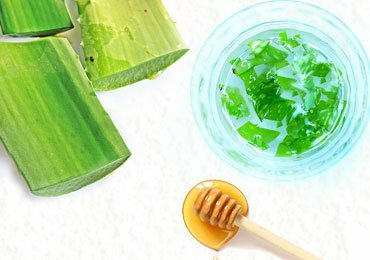 This is the best one of the best homemade masks for dry skin as cucumber hydrates the skin and aloe vera treats cracks in the skin and heals them gently. 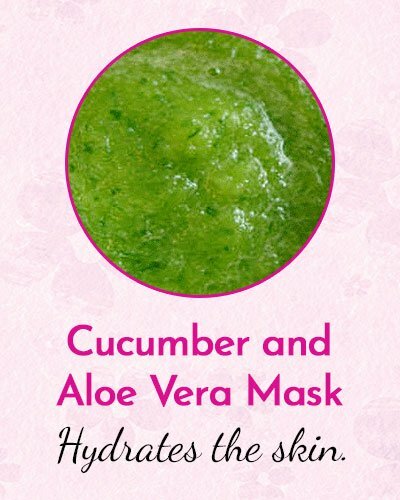 Mash a cucumber and add aloe vera to it. Mix both the ingredients thoroughly to form a thick mixture. Apply it to the face and let it dry for 30 minutes. Later, wash the face with cold water. You will notice immediate effects! Try these home remedies for dry skin to treat the condition effectively. For perfect results do not forget to apply moisturizer after rinsing the face. 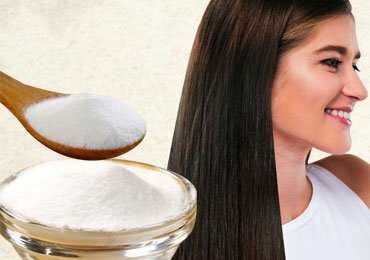 Read Next – How to Treat Dry Flaky Skin on Face?